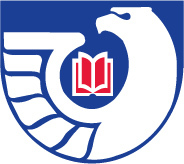 The materials listed in this LibGuide are federal government documents accessible to the University of South Alabama community. For materials available in other collections in the USA library check with SOUTHcat. This guide was created as a supplement to a display in the Government Documents Dept. (2nd Floor South) during the Spring of 2012. It reflects the government documents materials that are available to the University of South Alabama community. Without signing-in, you can search the Public Collection (93,500 resources). CIA--Selection of books published from 1992-present on the history of CIA. NSA--Books and brochures on the history of Intelligence gathering. DNI--Archive of materials back to 2005. CIA--An annotated bibliography of recent public books on Intelligence. CIA--Articles pertaining to the Intelligence community. CIA--Articles on the history of espionage and intelligence service.